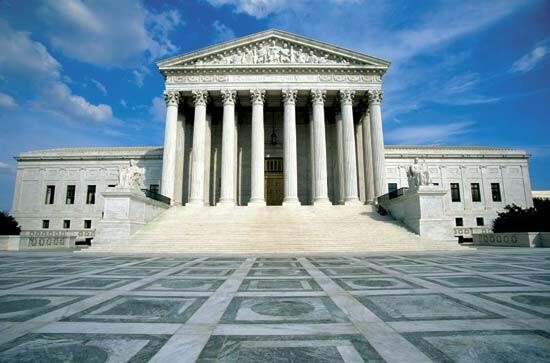 The Supreme Court of the United States (SCOTUS), in a historic, landmark decision ruled unanimously today that a search warrant is required before police can use GPS devices to track those under criminal investigation. All nine justices agreed that the GPS monitoring on the Antoine Jones’ SUV violated the Fourth Amendment’s protection against unreasonable search and seizure. The decision comes as significant defeat to the Obama administration and law enforcement agencies nationwide. Back when we initially touched upon United States v. Antoine Jones in November, we were astounded at the brash argument being made by the government. And Chief Justice John Roberts seemed particularly stunned by the government’s assertion that law enforcement could attach a GPS device to anyone’s car, without a warrant, including on the cars belonging to the justices themselves. As you’ll recall, the case involved a conviction, and then the tossing out on appeal, on drug conspiracy charges against Antoine Jones of Maryland. In his case, government agents put a self-contained GPS device that allowed authorities to track where Jones drove. That tracking allowed the government to conduct a secret investigation of Jones’ activities and was used to compile evidence used to initially convict Jones. That conviction was overturned since the same FBI agents that conducted the investigation and installed the GPS unit on Jones’ car didn’t have a valid search warrant. What’s really amazing to us is that the FBI did in fact obtain a search warrant. Yet they waited until it had expired before equipping Jones’ Jeep with the GPS tracking unit. Had they performed in an appropriate and prescribed manner, this case would have turned out much differently, even with the same ruling.